Ahhhhh.... Today is my last day of work. I can feel the relief spreading over me. I am happy to embrace a few days off before Baby makes his/her arrival! I am linking up with Katie, Della, Tif and Becky to share the 5 highlights from my week! 1.) Last weekend I got the basement all cleaned up. I organized the laundry room and the playroom. It was quite a bit of work but it looks so good! I am so excited to have it all done. 2.) I had a visit with my best friend from school and her kids this week. I love how she and I can always pick up right where we left off and not skip a beat. I so enjoyed our visit and I am excited to go see a movie with her tonight! 3.) 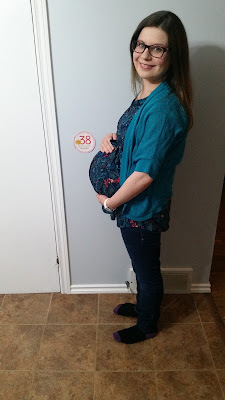 Today, I am offically 39 weeks pregnant. My appointment went well this week and I am excited to meet our new little one in the near future. 4.) I went for a haircut on Tuesday and it felt so good! My hairdresser is wonderful and I so appreciate her. 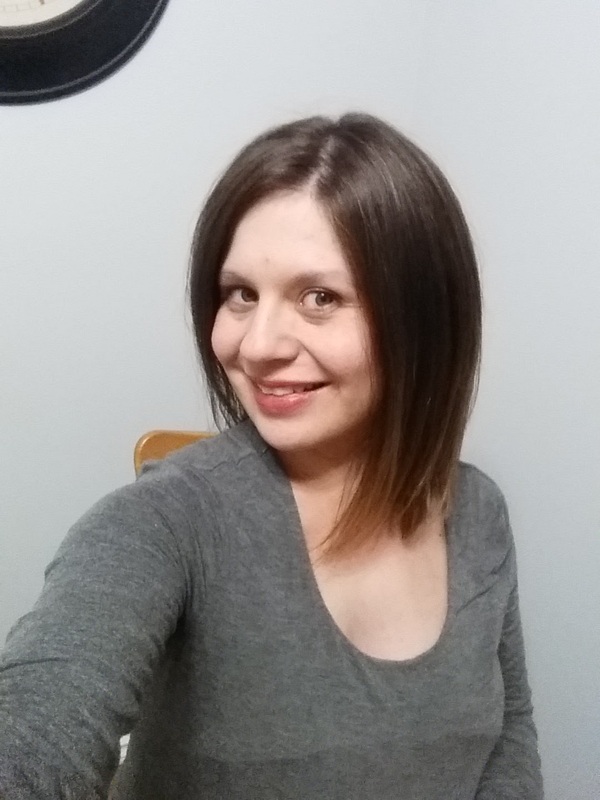 I have had some issues with my hair in the last few years and she has really helped me figure those out! I cut quite a bit of hair and went for a lob. It feels good to have it shorter! 5.) Miss. 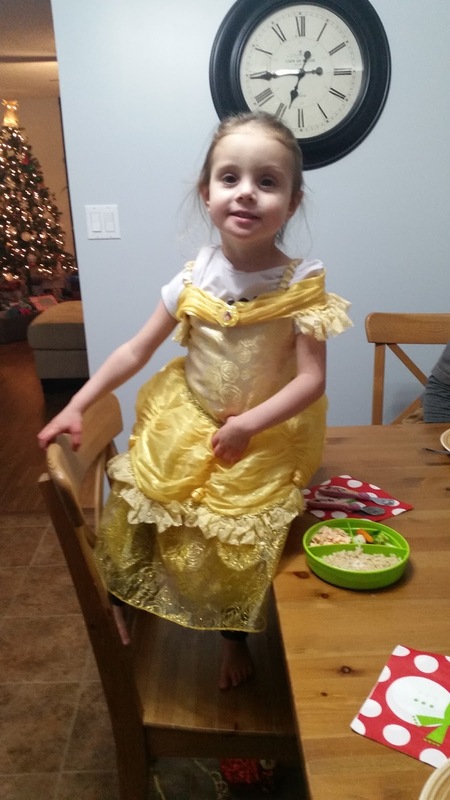 E wore her princess dress for supper the other night. She really cracks me up right now. 3 can be such a fun (and challenging...) age! Her imagination really runs wild and it is so adorable. How was your week? Don't forget to check out the lovely ladies above for some great blogs!